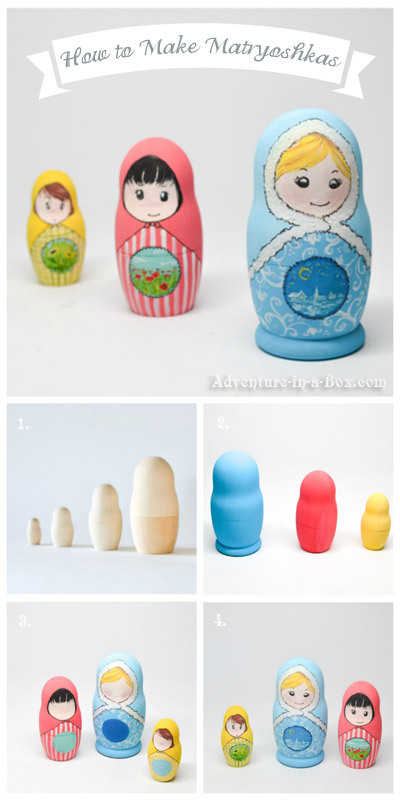 Have you ever thought of painting your own matryoshka doll? 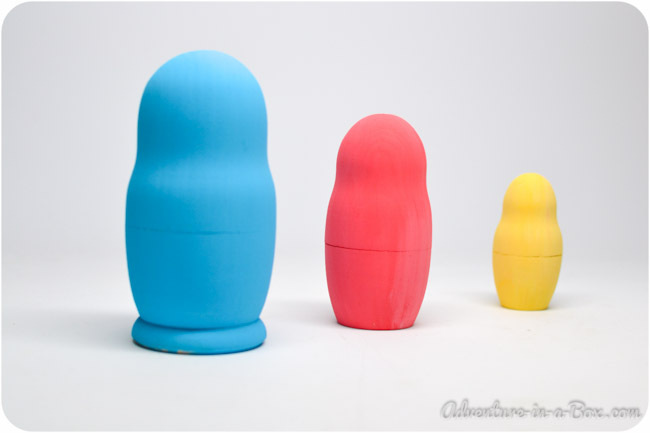 Here are the basic materials and design elements for making a traditional Russian nesting doll. 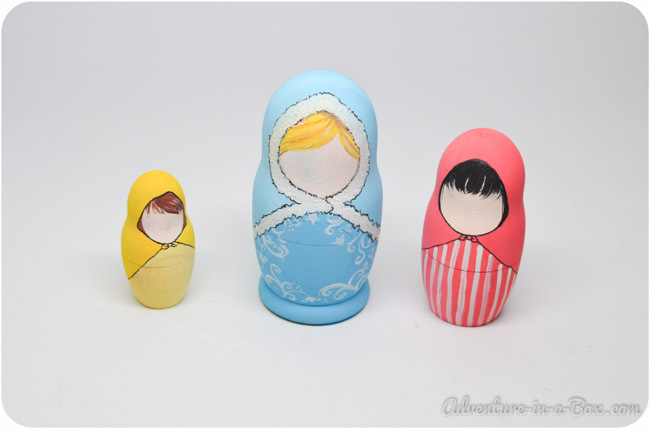 Matryoshkas are wooden dolls that come in a set: they range in size and can be placed inside of one another. 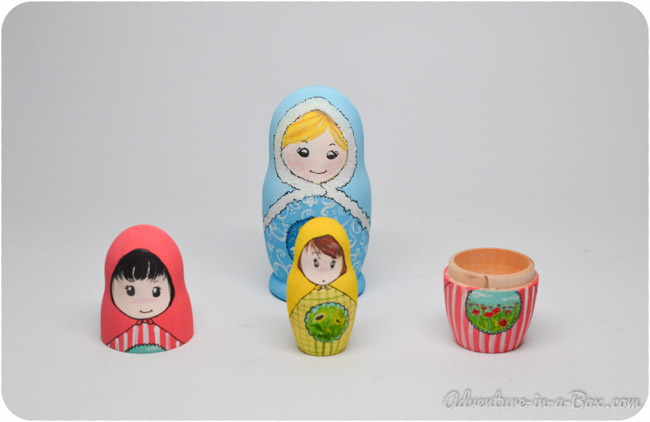 The first nesting doll set was carved in 1890, and in 1900 the dolls were presented at the Exposition Universelle in Paris, where the toy earned a bronze medal. Since then, this toy has been a noticeable part of Eastern European culture and my childhood as well. This little toy teaches a lot of basic concepts to children, and because it is made of wood, they can start playing with it during their first year. 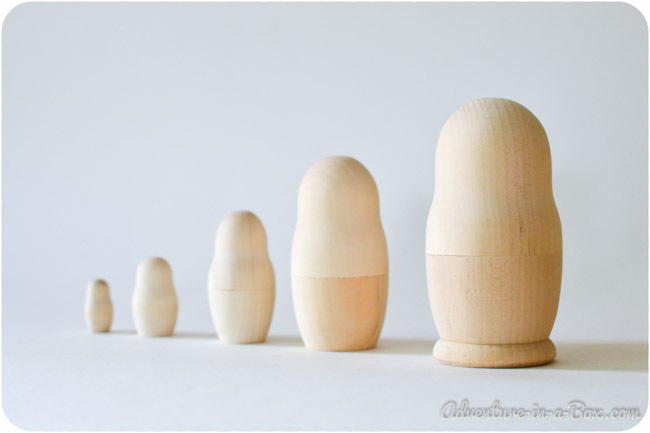 Budster got a set of plain wooden matryoshkas when he was around nine months. He loved opening them at first, later starting to close them as well. At first I gave him one doll, but then progressed to all three of them, and he learned to match the right halves together. All of those were excellent exercises! When he was about one-year-old, I took his plain set and painted it. He fell in love with his matryoshkas all over again, standing next to the shelves and gazing at their freshly-painted, colourful dresses. He wanted to leave finger prints on them – badly! When the dolls were ready to be played with, he was very excited to do so. After a few months, Budster still likes his dolls. 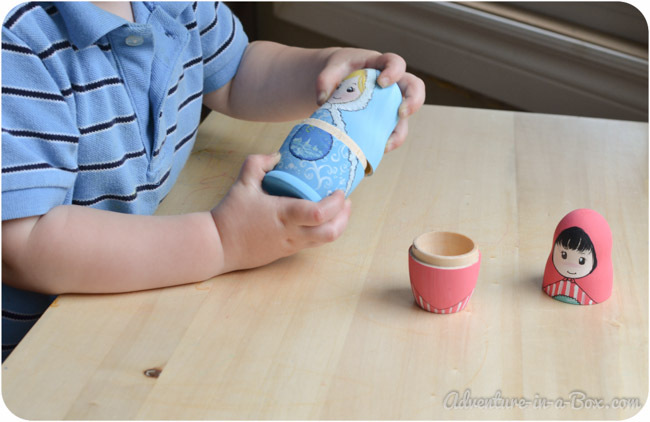 Once in a while, he will sit down and try to sort the dolls by size, and other times he will hide something inside and come to me with a doll and a sly grin on his face, “Mommy, guess what?” If the thing inside is solid, the Matryoshka turns into a rattle, and Budster runs around shaking it. If he gets close to rice or water, he likes to use it as a scoop. 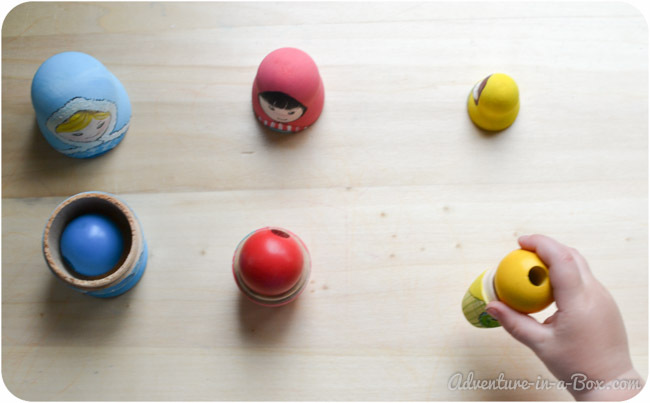 When I was a little girl, I also liked to play with my Matryoshkas as if they were dolls. Because they ranged in size, but looked similar, it was natural to imagine them as sisters. The bigger ones cared for the smaller ones. 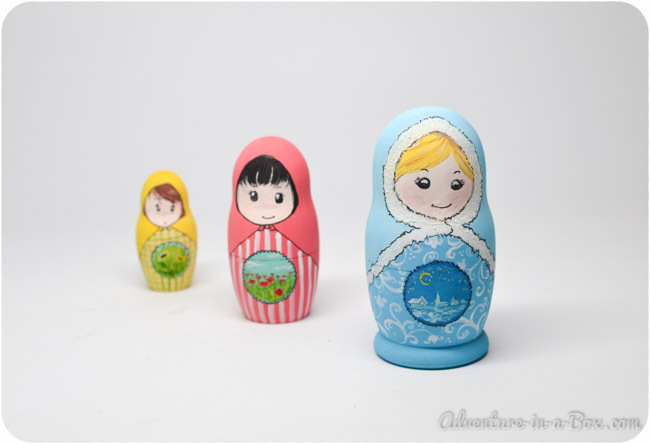 For more great ideas on how to make playing with Matryoshkas educational, check this article by The Educators’ Spin on It. You can always buy a set, but if you paint it yourself, you can add educational elements and personalized elements. It can become a unique toy for your child that will have real history and culture behind it! 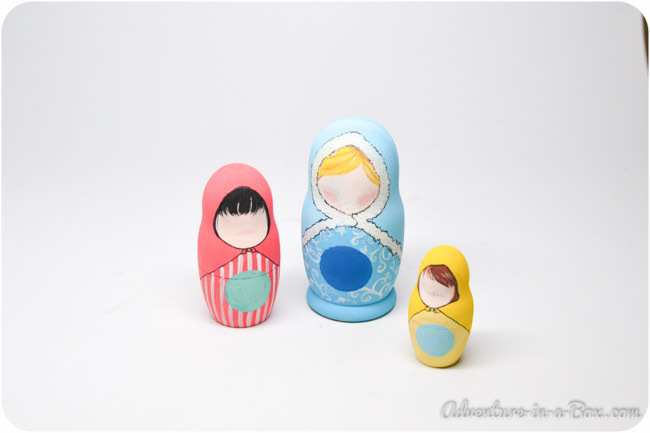 Painting a Matryoshka set is simply fun, and if you have older children, who are around four and older, it can be a great family project. Matryoshkas come in very different designs. Many sets would feature the same design, painted on a different scale, but there would be other sets where all the dolls will be different. 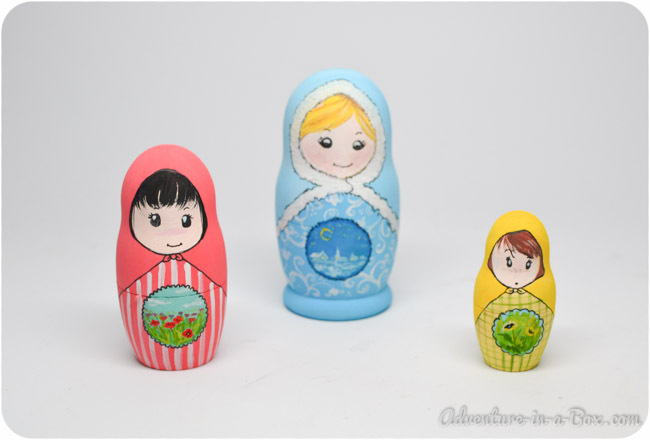 Frequently, Matryoshkas depict women in traditional dresses with headscarves; however, there are sets of animals, cartoon characters and even politicians. 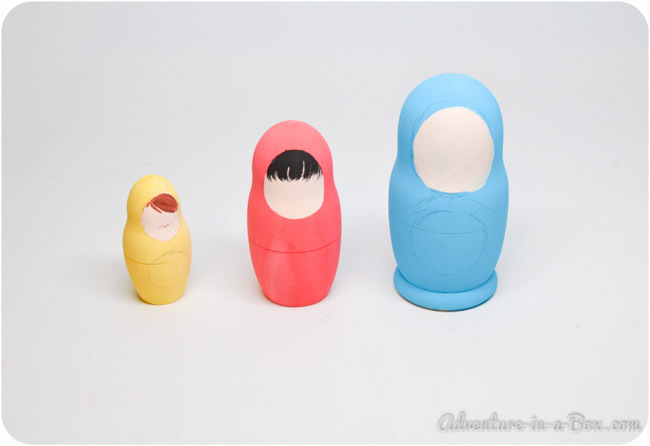 Here I am going to show how to paint a very simple Matryoshka. I feel more comfortable working with Gouache. From what I know, it was also a traditional way of painting these dolls. 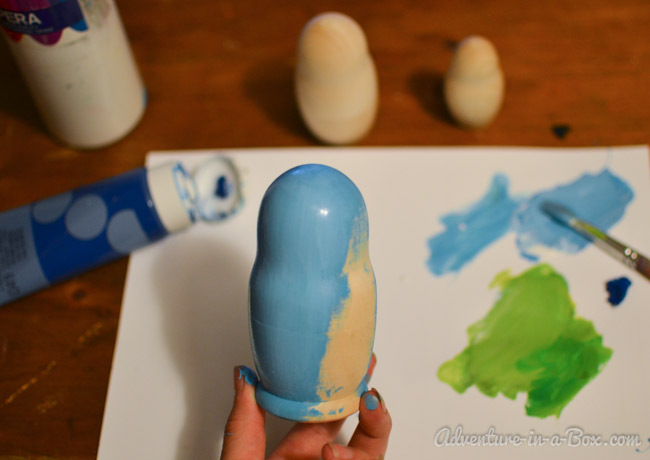 However, in modern times, it is very common to use acrylics for painting Matryoshkas as well. 1. Line all of your nesting dolls in front of you. Depending on how big your dolls are and how young your child is, you might want to remove some of them from the set for now. 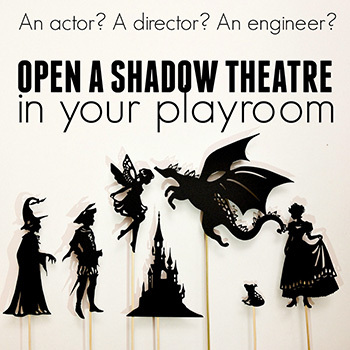 In my set the biggest doll is 4″ tall, and I prefer to take the two smallest ones out. I am left with three dolls. 2. Paint each in a uniform colour. 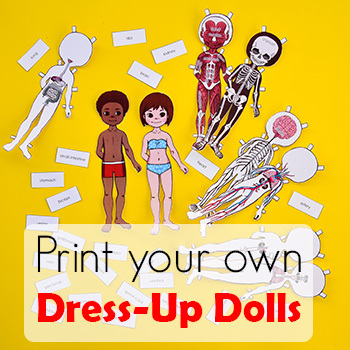 I am going to paint them red, blue and yellow, so that the dolls can be used for teaching colours and some basic sorting activities. 3. Mix a skin colour (white+a bit of red+a bit of yellow) and paint circles for their faces. Add some curls and fringes. 4. Now is the time for the most important part – babushka! 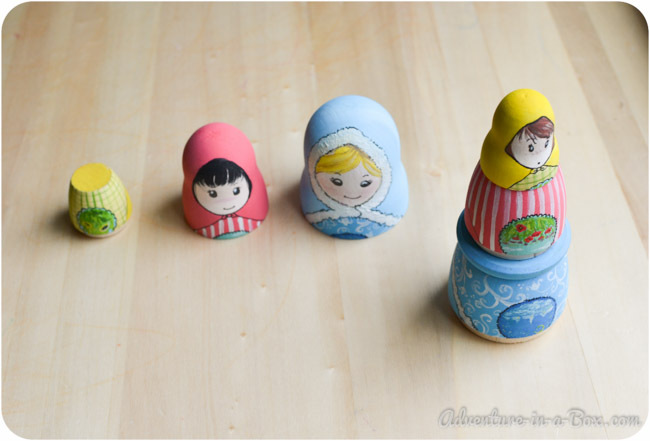 Sometimes Matryoshkas are even called Babushka dolls, for the traditional headscarves they wear. It is funny that the English word for them happened to be babushka. In Russian, when you say babushka, you mean grandma. Old women do wear headscarves a lot, but those are called kosynka in Russian. Linguistic curiosities aside, you can simply outline the headscarf or decorate its edges, like I did with the blue doll. You can paint some pattern on the headscarf or on the dress, like I did with the red and the blue dolls. I will also add a pattern to the yellow one, later. 5. Another noticeable feature of a traditional doll would be a painting on its belly. It could be a decorative floral design or a scene from everyday life. Often it is enclosed in a circle. 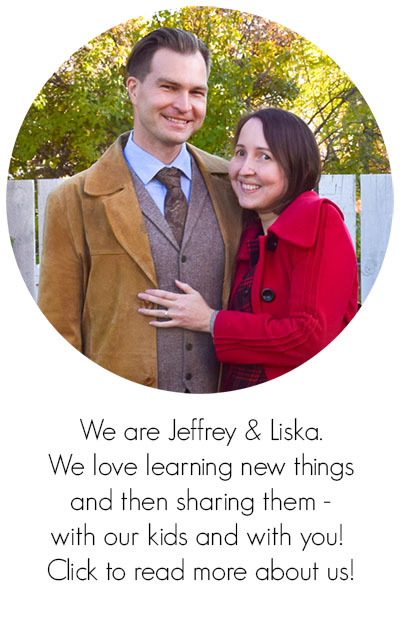 Start by painting circles on your dolls’ bellies. 6. After the paint dries, make a small design inside of each circle. 8. Add any other details you want. 9. Varnish your dolls to preserve the paint. 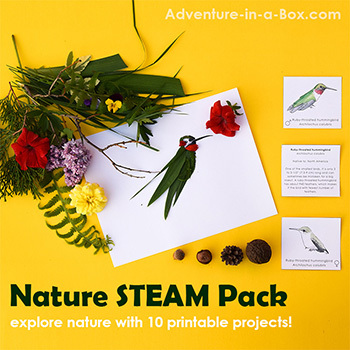 If you want to stay updated on other stories from Adventure in a Box, consider subscribing to our Facebook, Pinterest or Instagram pages. 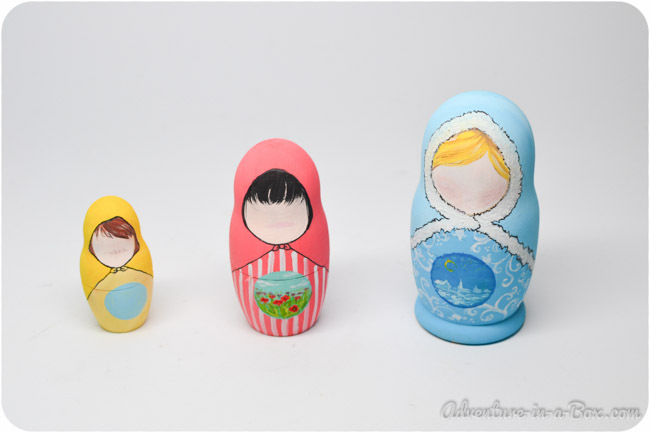 Please, also check my board for more ideas of how various the world of Matryoshkas can be. 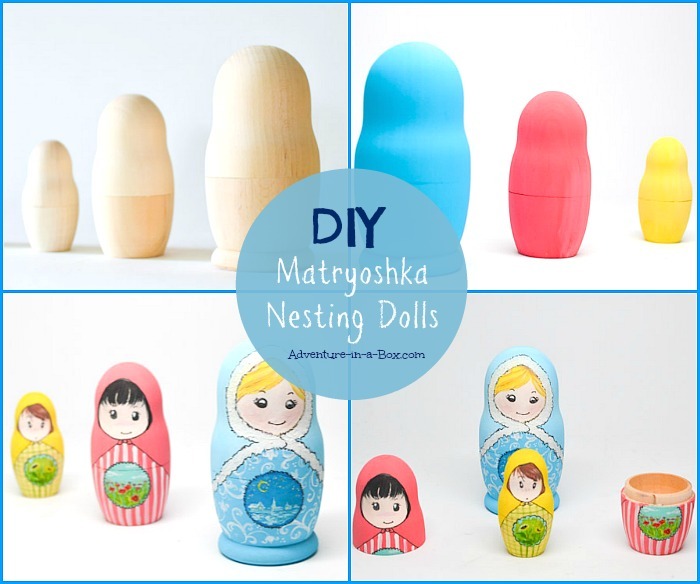 Where did you buy your unfinished nesting dolls?